Welcome to our Paper Pros challenge for April. This time round our challenge is hosted by Karen Aicken. Since things are starting to bloom and come to life in the Northern Hemisphere, our challenge this month is Flowers, Butterflies and/or Spring Blooms. Of course where I live down here in Australia, it isn't Spring but Autumn. 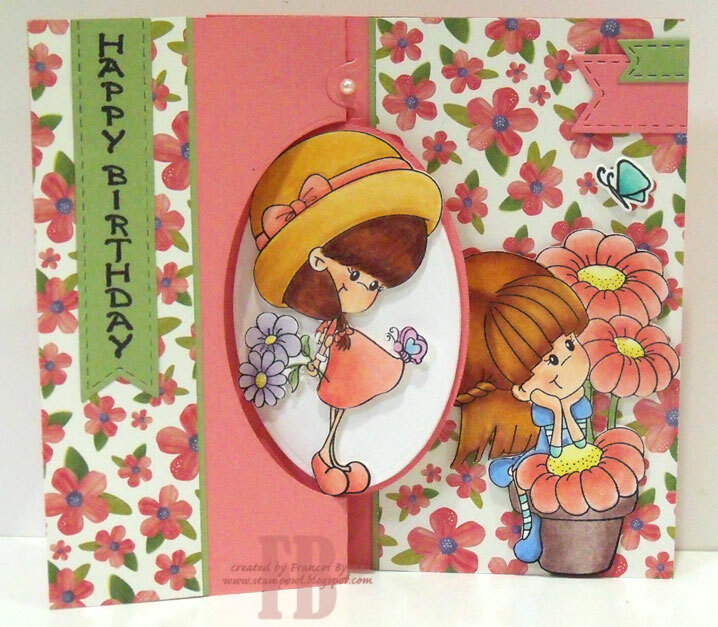 Although it is still warm down here right now and it is always fun to add some flowers to a card. 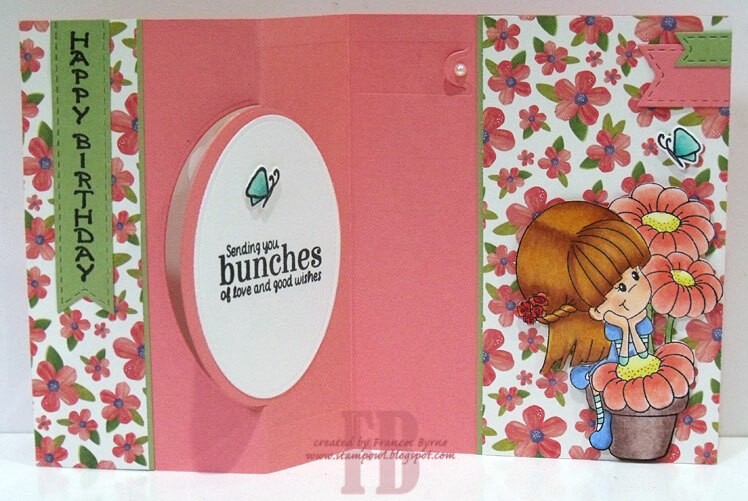 For my card today, I have used the Pop It Ups Oval Pull Card die set and decorated my card using to cute images from A Random Fan. I made my Pull Card slightly wider than normal so it would fit both images on. When you "pull" my card open, it reveals a sentiment and butterfly on the oval panel. Paper: White; Pink; Green; Family DP - Pebbles Inc. I love this card. She is so sweet!